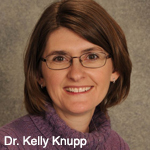 AURORA, COLORADO – During this spring, Dr. Kelly Knupp, a pediatric epilepsy specialist, and her colleagues will be conducting a three-year, $500,000 observational study at Children’s Hospital in Aurora, Colorado. There has been a lot of recent buzz surrounding the success of medical marijuana in the treatment of childhood epilepsy.Many parents are claiming that medical marijuana has significantly reduced both their children’s seizures frequency and intensity. Because of this, families with children like Charlotte Figi are making the move to MMJ-friendly states, like Colorado, desperate to find an alternative treatment for their child’s severe epileptic disorders.